I recently decided to invest in Elvis Presley; EPE (Elvis Presley Enterprises), actually. I did that by purchasing 200 shares in CKX, Inc., a parent company owned by Broadway media mogul and producer Robert Sillerman, who acquired controlling interest in EPE in 2004. I decided to buy CKX stock for three reasons. First, an Associated Press financial article that appeared in my local newspaper on January 9, 2010, the day after Elvis’s 75th birthday, predicted that CKX “could double or triple its stock price over the next couple of years.” Second, the price was right. CKX peaked at nearly $28 a share in 2005; it was at $5 per share when I bought in. Finally, it was a sentimental choice. I’m an Elvis fan. He’s already demonstrated his commercial power as a dead celebrity. I have faith in his future earnings potential. Of course, a smart investor always examines the history of a company before investing in it. In CKX’s case, that history goes back only five years. Most long time Elvis fans were shocked when they learned in December 2004 that Lisa Marie Presley had sold 85% interest in her father’s estate to Sillerman. We had gotten used to EPE being under family control. The Presley estate was on the verge of collapse after Elvis died in 1977. Priscilla wrestled control away from Colonel Parker, opened Graceland to the public, and rebuilt the commercial value of Elvis’s name. 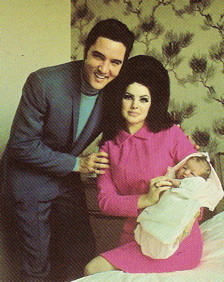 Ownership of Graceland and EPE eventually passed to Lisa Marie, as the heir to her father’s estate. It was certainly a sweet financial deal for Lisa Marie, but fans were worried about how Elvis’s image would fair in the hands of a money-first wheeler-dealer like Sillerman. When he bought EPE in 2004, Sillerman tried to soothe Elvis fans by claiming he was one of them. “My favorite Elvis song is ‘Can’t Help Falling in Love,” he pronounced, “my favorite movie is ‘Viva Las Vegas,’ and I dressed up as Elvis in 2003 at Halloween.” Fans were also pleased that the EPE management team was left in place. Jack Soden, who retained his position as EPE’s chief executive officer, promised fans there would be no drastic changes. “Hopefully what they’ll notice is that we keep getting better and better,” he explained. “My greatest responsibility to my father is to preserve and protect his legacy, and this is an exciting new structure that opens up an incredible array of opportunities with a major infusion of new investment capital to do just that. It’s the ideal partnership in that I retain Graceland and my father’s personal effects, yet joining forces with Bob Sillerman will give us the opportunity to grow even further the intellectual and entertainment properties.” In effect, Lisa Marie was admitting that she had neither the resources nor the business acumen to take EPE to a higher level. So what has Sillerman done in the last five years to build up CKX? Well, he’s added a couple of other entertainment entities to join EPE. He acquired the British company that produces “American Idol,” and he bought the rights to the name and likeness of boxing legend Muhammad Ali. Still, since CKX peaked in 2005, its stock has dropped over 83% in value. Morningstar, the online stock research site, rates CKX among the worst performers in the Bear-Market of recent years. Also, Morningstar gives the company a current grade of “F” in profitability. Hence, the low share price. But has Sillerman done anything to build up the EPE side of CKX? Not much, it turns out. Elvis licensed merchandise has increased some, and the King’s music continues to be repackaged and reissued over and over again. Those efforts, however, mostly appeal to Presley’s traditional fan base, and it is difficult to imagine what more Sillerman can do for that aging demographic, unless he can find some way to keep us from dying off one by one. CKX’s real challenge is to somehow expand Elvis’s appeal to a new and wider audience. It needs a project to send waves of Elvis interest through 21st century culture. An attempt to do so was made several years ago with “All Shook Up,” a musical in the pattern of “Mamma Mia” and “Jersey Boys,” which had sparked renewed interest in ABBA and the Four Seasons, respectively. “All Shook Up” bombed on Broadway, however, and so CKX is looking elsewhere to build up Presley’s appeal. The recent AP article details the company’s current efforts. I don’t know what Sillerman has in mind to “redevelop” Graceland, unless it’s the project that’s already been announced—the building of a visitor’s center adjacent to Graceland to replace the strip mall across the highway. As for the Las Vegas musical concept, CKX is late to the table with that project, as it was with the Broadway show. The Beatles Cirque du Soleil show in Vegas has drawn huge crowds, and Sillerman’s company is obviously hoping it will work for Elvis too. As both a shareholder in the company and an Elvis fan, I’ve got my fingers crossed. "My greatest responsibility to my father is to preserve and protect his legacy, and this is an exciting new structure that opens up an incredible array of opportunities."